A few days ago I talked about how you can improve interaction with 3 small tweaks. Since then I’ve been getting some really great feedback from you guys about how well this is working for you. I’m super happy to see that you are following and testing yourself. Really, for me that’s exciting. I appreciate you taking the time to read my stuff and practice it. By the way, being a practitioner is all that matters. Everything else is BS. Today, I want to take you even further into the process of turning a casual engagement into a relationship. I want to talk about cross-platform engagement. Cross-platform means that you are using different platforms to deliver your message. Or utilizing different platforms, spreading your message across them. For example, I will record a video on Snapchat, teaching you how to create 40+ links list posts in under 30 minutes. 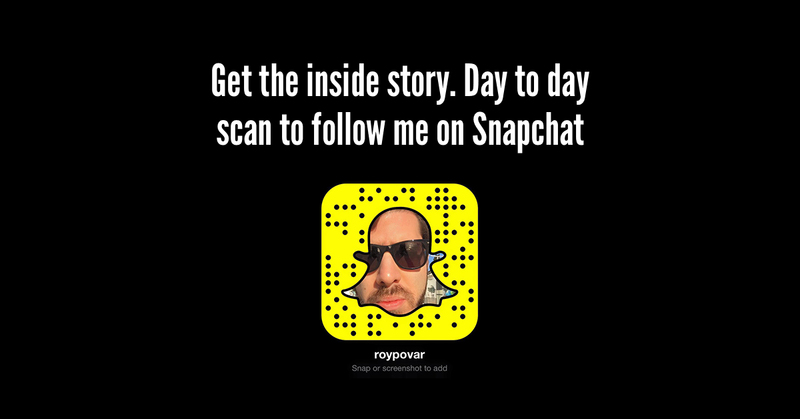 The fact that I’m promoting my Snapchat through the blog – that’s cross platform. So cross platform engagement is the same, but focuses on user engagement. That, for me, is the highest form of engagement and really is taking it to the next level. Today, I went on Product Hunt (By the way, are you using Product Hunt for your launch? Tweet me if you do), as I often do, and upvoted a cool little product called Reelevant. Upvoting products is something I do daily. But what happened next got me really excited about this company. Remember, I upvoted them on Product Hunt, but they took the time to go on Twitter and reply to me with a funny gif. Now yes, this process can be automated, but even so, they took the time to think about me as an upvoter and do something special for me that is not the immediate thing one would think of. They could’ve commented saying ‘thanks’ on PH. But that would have been out of context and not personal. They did the right thing. They went the extra mile. Think about how great it feels to get a “thank you” from a brand or an influencer your follow. Now think about feeling like it’s not a casual “thank you” but the other person is really spending time getting to know you. It’s like meeting someone for the first time at a random place, and 20 minutes later seeing them surprisingly at a friends house and then at another hangout place where you go with your friends. It’s casual, it a good non-intrusive interaction, but very fast, it seems as if you “know each other” or you “mingle at the same circles”. It makes you feel that much closer to that brand. They become a part of your life. If you are doing content marketing the right way, it doesn’t fell like makreting. It feels like relationship building and value giving. Sending me to your Facebook page – feels like marketing. Always tweeting at me, doesn’t feel organic, because as a person I’m not always on Twitter. But when I simply just go on with my life and you, as a brand, or perosnal brand just find the right times, context and platforms to engage with me without forcing me to “like / follow” etc. It feels like a natural conversation. Look at your users / readers as whole person, not just a profile.